NetEnt is a game provider that needs little introduction to many. In fact, in Britain, they’re one of the most popular slot distributor available in online casinos. Not to mention that NetEnt’s popularity only increased when its live Casino product hit the market. Without a doubt, this company made giant steps ever since their beginning in Sweden in the previous century. And, yet proves that its difficult days are far behind them. Since today, this company made a name for itself in the industry, and they’re even on the stock exchange market! Why are NetEnt slots so popular? They’re many reasons why NetEnt games have won the heart of players. Sure their designs have much to do with it. But also we shouldn’t forget that this studio invented many new games mechanics that are now available in many different games and from other providers too. Additionally, we think it’s important to point out that NetEnt has one of the most flexible content management tools. In fact, the usability of their casino module means that casino managers can easily give Free Spins to players! And because of this NetEnt games are frequently used in acquisition campaigns by Casino Managers. So evidently, their games are the first ones that many players try. And because we all know that it’s difficult to change habits, many players only play their slots. Over the years NetEnt has inked deals with many operators like LeoVegas and Dunder. And of course, their progressive games are some of the most played online. 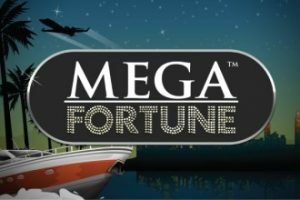 In fact, if you’re an avid casino player, we’re confident you know Divine Fortune and Mega Fortune. Because these games make the headlines months after months for making new millionaires! And of course, the more millionaires these games make, the more players they attract! Who wouldn’t want to win millions from a £0.25 bet? And it’s exactly the dream that NetEnt is selling to players all over the globe! And because this company got the seal of approval of many authorities, their games sure have a vast reach too! What’s more is that recently the new CEO confirmed that NetEnt would look for new opportunities across even more markets. So we think their jackpot slots will make even more headlines soon! Without a doubt, they’re one of the most prestigious game providers in the industry. In fact, they’ve won 25 different awards since 2010. The awards include several EGR B2B Awards for their mobile product but also for making great slots! Did you know that in 2016 they won the price of the best slot of the year? And today many agree that Guns n’ Roses video slot is still the best game produce in the decade! So if you haven’t already tried it, give it a spin now! Their games are available in all the casinos listed on this site. And our team negotiated many deals for you. So you can try them with real money risk-free. So make sure to check our Free Spins no deposit section while you’re here! And don’t forget to read our Casino Bonus section to get a deal!